The aging U.S. population contributes to the explosive demand for more healthcare workers. Schools offering pharmacy technician programs and other courses in healthcare are recognizing record-breaking rates of enrollment as more people are drawn to the medical profession. Pharmacy technician certificate programs and other short-term courses are ideal for people who want to enter the medical profession but do not want to commit to the long-term studies to become a physician, pharmacist or nurse. 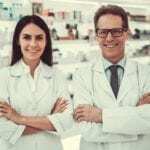 A pharmacy technician works in a retail or institutional pharmacy to dispense prescription medications. 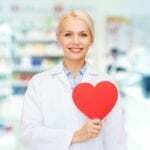 The primary duties include collecting customer information, measuring medications for dispensing, packing and labeling prescriptions, collecting payments and processing insurance claims, managing inventory, answering customer calls, and verifying prescriptions. 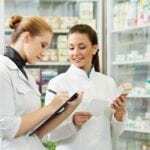 A licensed pharmacy must review the prescription that the pharmacy technician prepares before it is dispensed to the customer. The two-year pharmacy technician program at the University of Arkansas prepares students for employment in a pharmacy setting. Graduates may apply for the PTCB exam for national certification. They are also qualified to dispense medication and other healthcare products under the supervision of a licensed pharmacist. The 27-credit hour program covers medical terminology, basic anatomy and physiology, introduction to psychology, introduction to health occupations, chemical principles, first aid, and pharmacy technician I and II. Interested persons must provide high school transcripts and attend an orientation session. The college credits gained may be applied to the Registered Nurse, Dental Hygiene, or Radiology programs. Petra Allied Health hosts a 48-hour pharmacy technician program to prepare students for national certification and employment in an entry-level position. Graduates are capable of performing the primary job duties of a pharmacy technician under the supervision of a licensed pharmacist. Students learn proper handling of medications, compounding or mix select medications, measuring dosage medications to be dispensed, collect data needed to fill prescriptions, inventory management, and packaging and labeling prescriptions. Morning and evening class options are available. The morning class meets Monday and Wednesday from 9:00 am to 12:00 pm for 8 weeks. The evening class meets from 2:00 pm to 5:00 pm for 8 weeks. Tuition is $800. Additional expenses include registration, textbook, AAH National Certification, criminal background check, and Arkansas Board of Pharmacy registration. The pharmacy technician program at Fort Smith Public Schools prepares students for employment as a pharmacy technician. The program is exclusive to approved 11th and 12th graders who have demonstrated an interest in and an aptitude for a career in health. Applicants must have established good attendance and discipline records. Students must enroll in the specific sequence of courses that lead to a pharmacy technician certificate. Course topics include pharmacy terminology, anatomy and physiology, dispensing prescriptions, dosage calculations, reading and interpreting prescriptions, compounding medications, generic and brand name drugs, and pharmacy billing systems. Graduates receive college credit from the University of Arkansas. Tuition, books, fees, equipment, and transportation are provided at no cost to the students. Parental consent may be required.